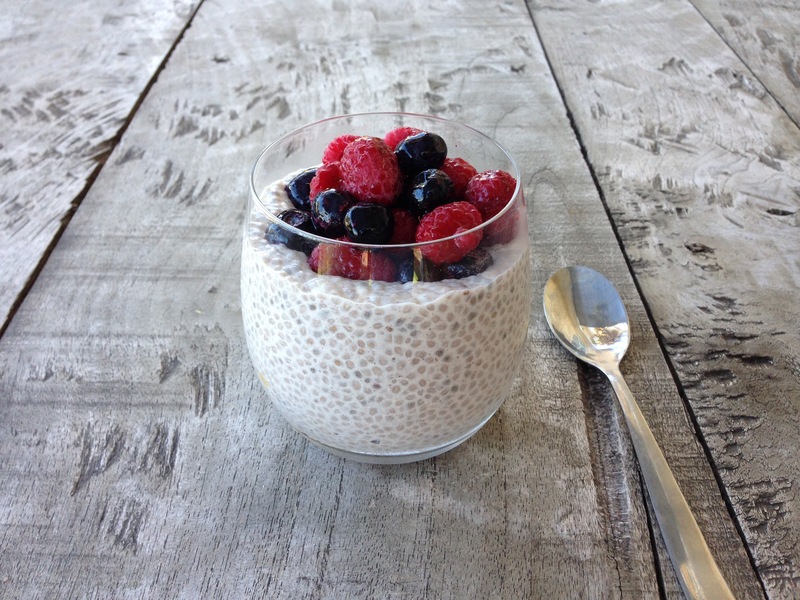 Chia pudding is a refreshing way to start the day and better yet it can be made up a few days ahead meaning you can race out the door and grab one on the way. In a large bowl, stir vanilla, cinnamon and maple syrup if using together until cinnamon is fully incorporated into the vanilla. This will prevent little cinnamon lumps in your chia later. With a fork or whisk, stir in coconut milk and almond milk then chia seeds last, giving them a good whisk ensuring there are no chia lumps. Place in the fridge and leave for at least an hour before giving another whisk as the chia seeds will settle. Leave overnight in the fridge before giving another stir. At this point pour into individual glasses if you want the chia to set neatly or just leave in the bowl to scoop as needed. Serve with fresh or frozen fruit (my faves are berries or mango) and a sprinkling of nuts if you like a bit of crunch. Each brand of chia is slightly different and absorbs a different amount of liquid. If the pudding is too sloppy at the end of step 4 stir in another tablespoon or two of chia. Lasts up to five days in the fridge and works well making a double batch. A single serve is approximately 3/4 cup. Use a good almond milk and coconut milk that you like the flavour of as these are the predominate flavours in the pudding. I prefer unsweetened almond milk and a coconut milk that doesn’t have lumps. Black and white chia seeds give a slightly different result. The white chia seeds seem slightly stickier to me but both taste relatively similar.